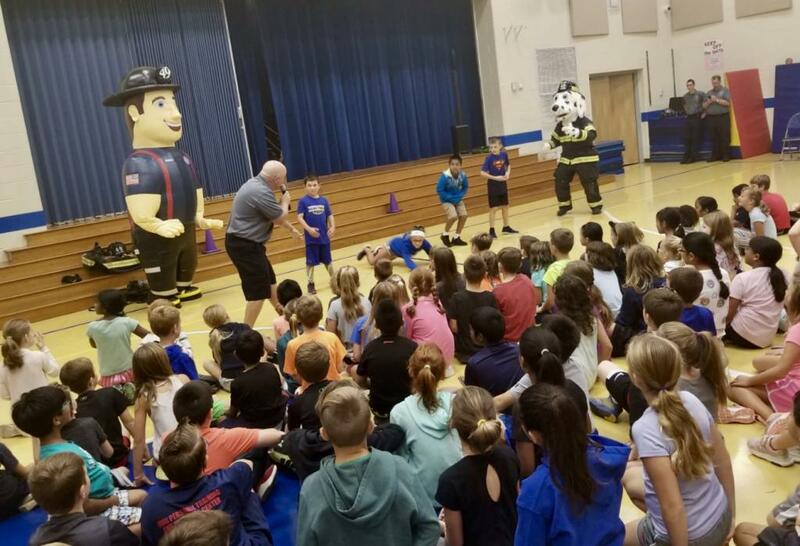 Fire Prevention week is upon us and East Brandywine Fire Company volunteers are in the schools sharing safety messages with the kids. 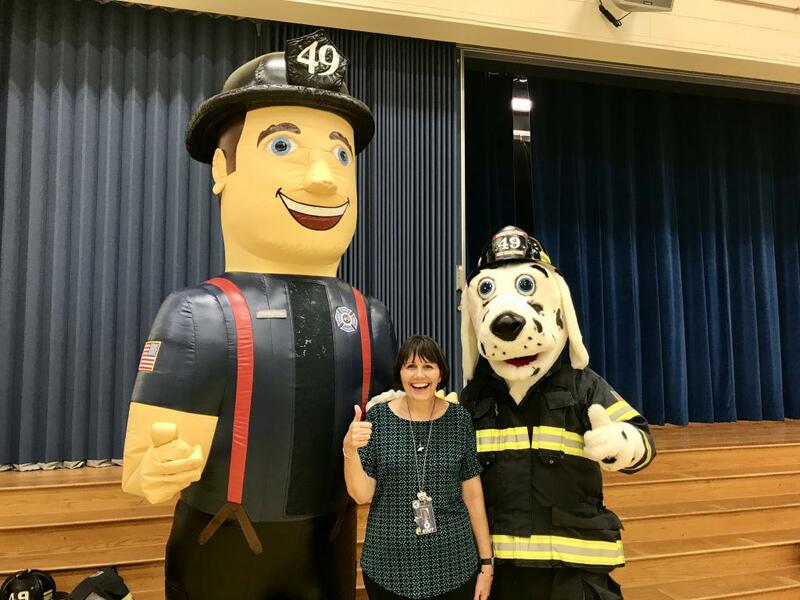 Our Fire Prevention Team provide high energy assemblies which interject music, foster participation, and most importantly showcase our partners Sparky the Fire Dog, Freddie the Fire Truck, and our newest addition the 10 foot fireman. 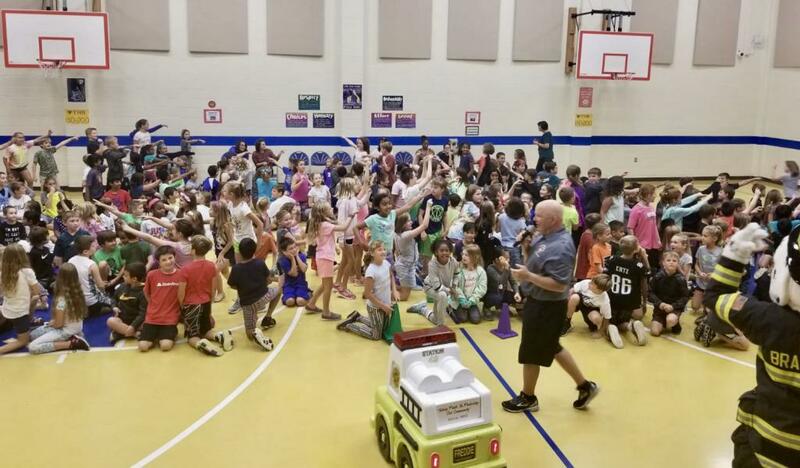 Dr Linda Leib Principal at Brandywine Wallace Elementary School summed it up like this....simply put "it is the highlight of the year". 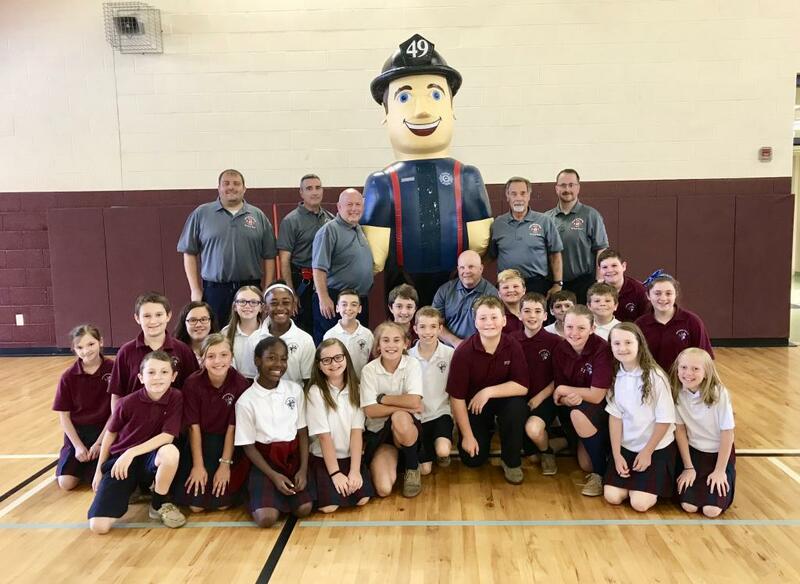 To date the Fire Prevention Team has visited Pope John Paul Regional Elementary School and Brandywine Wallace Elementary School. 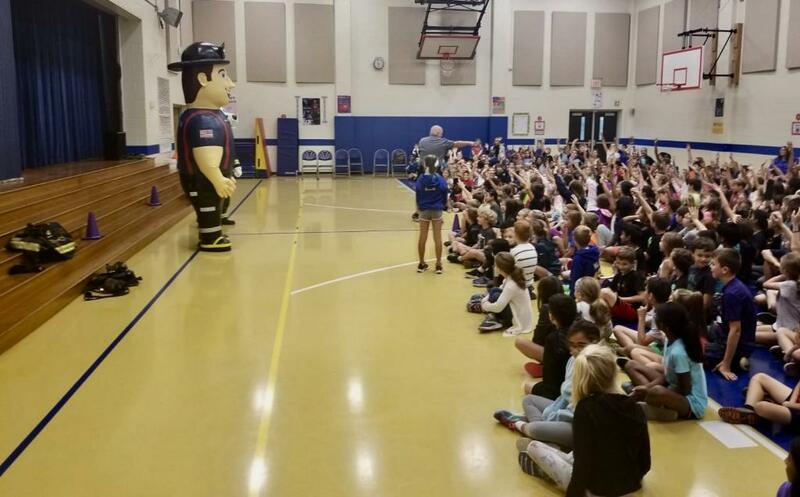 The Team will be visiting Reeceville Elementary School today, and Hopewell Pre-school next week. 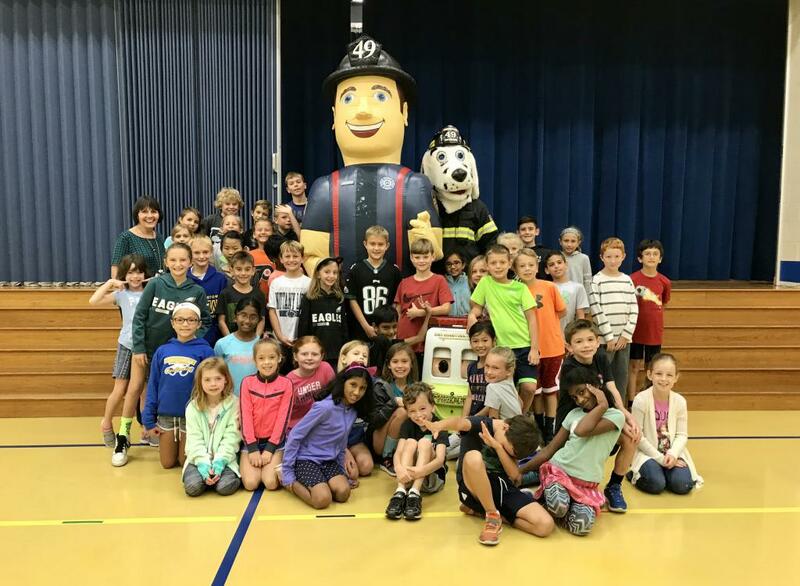 The East Brandywine Fire Company Fire Prevention Team would like to thank all of the Schools Administrators and Teachers for accommodating our visit. Lastly don't forget our Open House Wednesday evening October 17th from 6:30pm to 8:30pm.